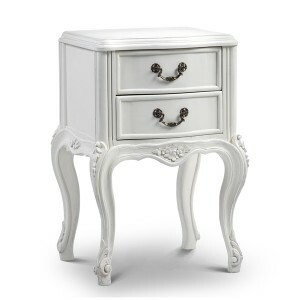 Complete your luxury boudoir with this French style bedside table. Featuring a contrasting natural rattan shelf, this piece boasts sophistication and elegance. Pair this bedside with our selection of Provencale style antique white French beds, or contrast with other French furniture to create an eye-catching centre piece in your bedroom.